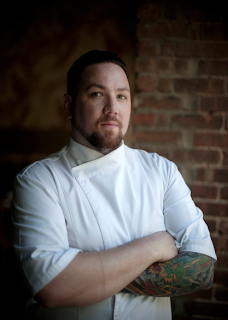 Inked for a Cause: Chef Ryan Butler: "Social responsibility to me is simply just being aware of what’s going around you"
I also support the ASPCA. My fiancé and I have adopted a pitbull puppy that was found in the garbage can in Green Point – we named him Oskar. Why do you have a passion for this one in particular, is there a personal tie? As for the ASPCA, I am a big animal lover – There are so many animals out there right now that need loving homes. Is there a particular way you would want to encourage readers to be involved? I would encourage others to pick something that moves them and do the research to see how they can help. A little bit can go a long way. How would you define social responsibility? Social responsibility to me is simply just being aware of what’s going around you, whether is locally or internationally, and doing your part to show support wherever and however you can.